The number of times I’ve built a Commander deck, sleeved it up and brought it to Magic night, ready to drop it on some unsuspecting friends/foes only to have someone remark about my awesome deck, “You know there’s a better version of X” or “Why don’t you just run X instead?” is TOO DAMN HIGH. It’s happened to all of us, some wizard with the memory of a damn elephant pulls some card that was either obvious or obscure to make you look like a full-on idiot, when all you were trying to do was build a deck that didn’t require you to pawn off your grandmother’s emerald brooch she gave you even though you’re not sure what to do with a brooch or even what one is. These people who point out your budget (or creative, or just lazy I guess) card choices do have a point. A quick look at EDHREC confirms that better versions of just about every card in all of Magic, but if we only ever used those cards, Commander would look like all the other boring 4-5 deck formats and the games would be over in minutes as opposed to hours. 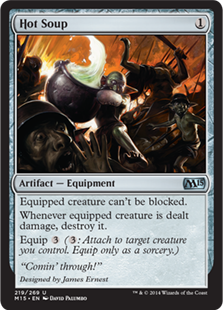 While that last bit may not be a bad thing, the first bit is a terrible thing and is something that makes Commander the most fun format of this great game. So, as I am wont to do every two weeks or so, I got to thinking, why don’t I make a wacky deck based on all the times someone has told me “there’s a better version of that.” Ladies and gentlemen, I give you There is a Better Version of That.dec. When I think of commanders that have better versions of themselves one name jumps to my mind. It’s not one of the vanilla legends, that’s cheating. It’s not Yidris and Maelstrom Wanderer – it’s debatable who’s better there based on colors of mana alone. It’s not something like Sygg, River Cutthroat and that other Sygg. No, there’s only one set of commanders I think of when it comes to straight-up upgrades and that is Teneb, the Harvester and Karador, Ghost Chieftain. So with Teneb we have a clear strategy and a very classic group of cards to emulate. Stuff that dumps into our graveyard, stuff that reanimates, great ETB effects and ways to give Teneb himself even further evasion. 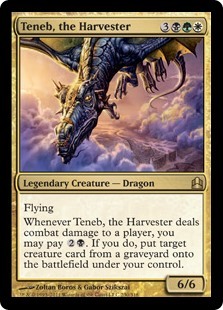 Looking at evasion first, the obvious choices are Whispersilk Cloak or even Trailblazer’s Boots but in this second rate deck Skyblinder Staff, Hot Soup and Prowler’s Helm all do a pretty decent impression and make it very hard to stop Teneb from doing his thing. When it comes to ramp, there are so many choices. But why are you always looking at Skyshroud Claim and Farhaven Elf when we have things like Ondu Giant and Wild Wanderer? We even have second rate mana rocks like Manalith and Abzan Banner. Not bad cards but stuff you’re usually replacing when you get a new haul from your LGS. Need a poor man’s Pernicious Deed? Gaze of Granite does the trick. How about a worse version of Wrath of God? Kirtar’s Wrath works in this deck just fine. Can’t afford a Rise of the Dark Realms? Give the much worse Ghastly Conscription a try! These are all cards you definitely could run in any deck but are most certainly not doing so. 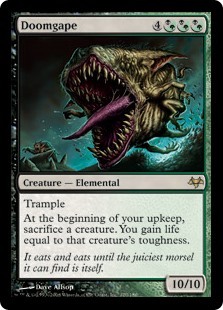 The real focus of a reanimator deck however, lies with its creatures, but instead of running perennial classics like Grave Titan, Massacre Wurm or Eternal Witness we’ve got the easily downgraded Abhorrent Overlord, Demon of Dark Schemes and Greenwarden of Murasa. Sac outlets are super important in a deck like this, but before you reach for your Viscera Seers and Ashnod’s Altars give Carrion Feeder, Bloodthrone Vampire and Bubbling Cauldron a shot, why don’t you? There are, of course, some actual good cards in this deck that, because of our self-imposed restrictions, actually make the cut. People always say Deadbridge Chant isn’t efficient enough, but it’s fun as hell and yeah while you may be able to find a better faster way to pour cards in your yard and generate card advantage, it’s just a fun card. Same goes for Doomgape. I’ve never been able to run Doomgape and quite frankly I’m very excited to do so. One class of creature that definitely lives in the worse version world but are actually better in this specific deck are the Maguses… Magu… Magusses… Magi? Whatever, you know what I mean. Magus of the Disk and Magus of the Will are both legit great cards that have “better” versions available but are actually not as good in a creature reanimator build. In decks like these it’s always a smart move to put your utility abilities on creatures so you can recur them whenever you need them. Things like Reclamation Sage or even a Qasali Pridemage (if they have a Torpor Orb about) are standard adds and are technically better than Indrik Stomphowler (you HAVE to destroy something) and Nessian Demolok (you might not get to destroy something), but we’ll stick with the these Bon Jovis to their Bruce Springsteens. Even the lands in this deck all have better versions than what we’ve included. You need fetch lands for EDH you say? Fine, we’ll include the classic slow fetch Grasslands. You found some old dual lands under the floorboards of your scary old house? I didn’t so I’ll just use Guildgates and go listen to my Kelly Rowland and Michelle Williams albums – I’M FINE. If you look at this deck from top to bottom you might think, “Yikes, what a bunch of old garbage.” and you’re not totally wrong. I will say that despite it being loaded with all Oateses and no Halls it is a hell of a fun deck to play. The best cards can get boring when they’re everywhere and it’s a nice refresher to sometimes play with something a little more challenging. Do you dominate your playgroup? 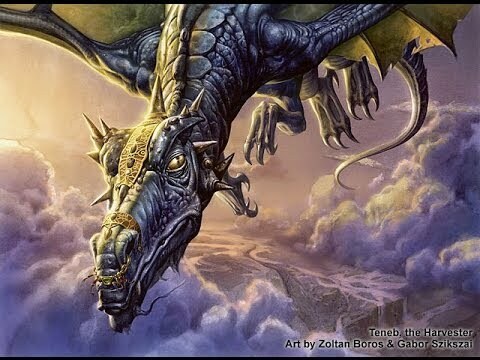 Are you an EDH master? Try out a deck that is the Sarah Chalke of Roseanne and not whoever the original Becky was, I’m positive you’ll thank me. *Ok, that last one was a bit of a deep cut, and while Sarah Chalke is great, she was very much the inferior Becky.